Though celebrity chef Mario Batali's plans to import his Italian food marketplace Eataly from New York City to Philadelphia remain uncertain, one of his chefs hopes to bring an exciting new gluten-free concept to town this fall. After three years of research, development and testing, Chef Ladner has created a patent-pending pasta bowl that marries the two cuisines. During lunch, Pasta Flyer will serve Bene Boxes, or "good” boxes - like a Japanese bento box but for Italian food. Inside these convenient, compact and compostable boxes, guests will get a perfect portion of gluten-free pasta, salad, protein and a snack of the day for under $15, delivered in less than three minutes. Pasta Flyer is seeking to raise $85,000 by the end of the Kickstarter campaign on July 5. If the fundraising goal is met, Chef Ladner plans to bring a portable version of Pasta Flyer to Philadelphia, New York, Washington, D.C. Providence, Boston and Chicago in October. All of the pastas - five varieties in all - will be produced in a gluten-free facility and will be paired with complementing sauces, proteins and sides; the entire menu is gluten free. Brick-and-mortar locations will follow beginning in 2015. Any donation amount is welcome, starting at just $1. A $20 contribution, for example, will get you a free pasta bowl when the pop-up hits Philly or other location of your choice, and you can cook side-by-side with the chef at the location of your choice (and get a Pasta Flyer T-shirt and apron) for $100. 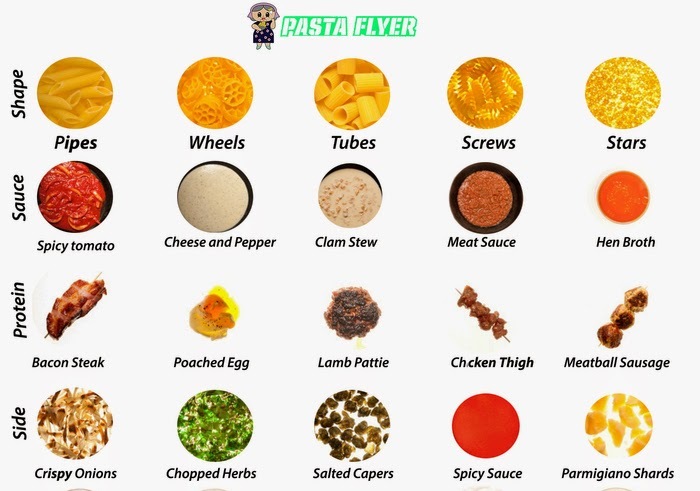 Other incentives are posted on the right-hand side of Pasta Flyer's Kickstarter page, which provides more information about the concept and the fundraising effort.